Nothing says “summer” like a splash of happy yellow, and Fragrant Sunshine is a very bushy and compact plant with bright yellow scented flowers. 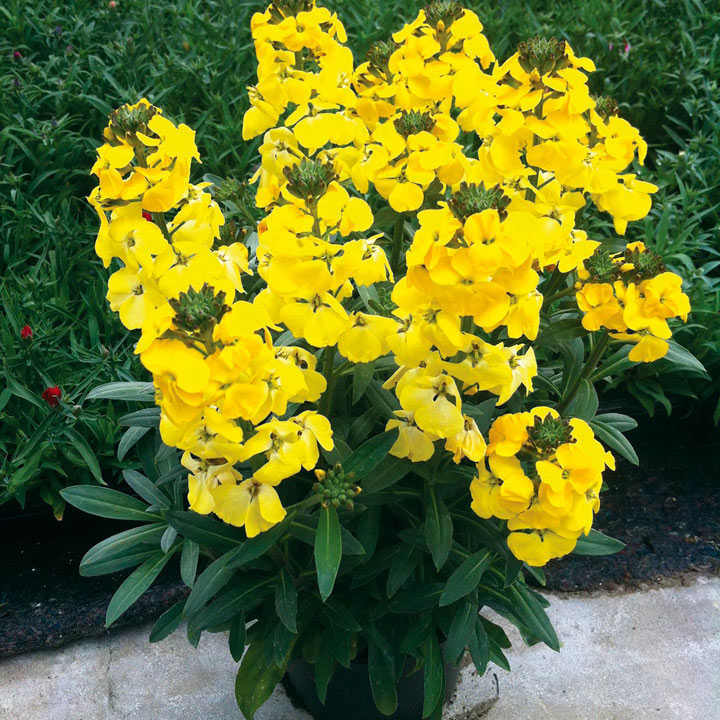 This popular Erysimum flowers from April-July and in favourable conditions through the summer, too giving a very long flowering season. The flowers will attract pollinators to your outside space, so you’ll be doing your bit for bees! So, if you love to sit back in your favourite recliner and enjoy the fragrance of sunshine, this one’s perfect. Erysimum Fragrant Sunshine is evergreen, and you can expect lots of flowers with a lovely sweet scent and dark green leaves. Flowers April-September. Height 30-40cm; spread 40-50cm. Supplied in 9cm pots. Ideal for beds and borders, patio pots and containers, rockeries. Suitable for cutting. Scented. Attractive to butterflies and bees. Prefers full sun.